The focus of education must move from not just what to learn, to the inclusion of how to learn (Drake, 2012: Wendler, 1990). This 21st century view is embodied in the new Common Core Curriculum in Mathematics and Language Arts which established a set of standards that are now consistent across 45 states, geared towards the demands of college and career, integrated with a global representation of standards, and written with a renewed focus not on the acquisition of countless isolated facts, but on the development of higher order thinking skills. With this focus on depth and flexibility of knowledge, schools are setting their sights on ways to deeply develop students’ knowledge within a smaller range of topics in ways that can promote transfer to future contexts. Indeed, isn’t this really the ultimate goal of education, to use knowledge developed in school beyond the classroom and throughout our lives? The concept of transfer refers to the ability to see when and how knowledge can be applied beyond the context in which it was originally taught. The New Bedford Symphony Orchestra has incorporated these learning principles into its educational curriculum to ensure that it is serving the real needs of our 21st century students. Each year, the New Bedford Symphony Orchestra’s educational programs are linked by a fundamental concept that is shared between classical music and other subject areas across the curriculum. This connection among specific educational content allows our students to explore a concept of study in a deeper and more meaningful way. This program design helps to create opportunities for students to see how and when a concept can be applied beyond the example in which it was originally presented. Exploring concepts using diverse, yet authentic, examples deepens students’ understanding and promotes transfer of knowledge to other new and highly contrasting examples. Every year the NBSO produces about nine or ten lesson plans to accompany our SchoolsMusic program, Young People’s Concerts and our Family Musical Connections Program. This allows us, as an orchestra, to demonstrate the very best in educational models. Creating an integrated concept-based curriculum serves many purposes, but this article will focus specifically on two; how an orchestra’s educational programs can be structured to develop a student’s deeper and more flexible understanding of a musical concept that is appropriately, and authentically demonstrated across the curriculum with both familiar and novel contexts; and, how these experiences serve to develop a child’s closer, and more enduring, connection to classical music. When I was an elementary and middle school music teacher, I can remember my school jumping on the interdisciplinary bandwagon back in the mid 1990’s. We were constructing models of how we could create curriculum that would teach across the vast array of subject areas, from math, to reading, to science, to the arts. There was much excitement, but also many misconceptions. I saw evidence of some really bad integration. For example, singing the FiftyNifty States was seen as a good example of arts integration since it brought the study of social studies and music together into one lesson. The children were using this fun and energetic song as a tool to memorizing information about the states. The social studies teacher was happy to see her curriculum explored beyond her classroom. However, while the children learned about the states, they learned little about music. The music was used as a tool to entertain and motivate the children as they covered the social studies material. This became a trend where the arts were used to serve the needs of other subject areas. In Deidre Russell-Bowie’s article, Syntergration to Disintegration: Models of Integrating the Arts across the Primary Curriculum, she describes various types of integration. One type she describes as Service Connections refers to instruction where one subject is serving the learning in another subject (Russell-Bowie, 2009). As the example above shows, the arts have a long history as service connectors where they are used in an interdisciplinary curriculum to enhance, motivate and energize learning and memorization of material from another subject while achieving no authentic outcomes of their own. The NBSO’s education programs only focus on concepts that are authentic and relevant to each domain. Deidre Russell-Bowie refers to this type of integration as syntegration. Syntegration occurs when a concept is explored in a meaningful way across different subject areas (Russell-Bowie, 2009). Syntegration begins with a concept at its center with connecting subject areas each illustrating how it is truly represented in their domain. She asserts that the outcomes that result from this type of integrated exploration are far greater than what can be achieved by each subject alone. In the NBSO’s 2011 SchoolsMusic! program “Music, Art and Legos,” the fundamental concept was form. We explored three specific types of form: repetition, contrast and variation. When teaching contrast, the musicians played an excerpt from Dvorak’s Slavonic Dance Number 3 with its highly contrasting sections shifting from loud to soft and slow to fast; then the students examined Van Gogh’s Cafe Terrace at Night to see the way in which the artist used bright and dark colors side-by-side to create “value” contrast; and finally, the students built Lego structures that demonstrated contrast using variations in shape, color, size and direction. Through this approach the concept of form is explored in three contexts. In music, form is analyzed in the way that a piece of music is constructed. In art, form is studied to see how the visual elements come together to create an artistic work. Finally, in math, form is demonstrated through variation and repetition of shapes and patterns. The example within each domain is relevant and meaningful. The students become aware that the concept can be found in many places and represented using different forms. We encourage them to continue looking for “form” in new and unexpected places. At one performance, a child was excited to consider the form of his lunch, a peanut butter and jelly sandwich. As a group, we went on to identify his sandwich as having an ABCA form where the material or bread from the first part returns again at the end, or bottom of the sandwich. The middle B and C sections represented something new and different. This example demonstrates how the NBSO’s education programs explore a shared concept that is equally represented in subject areas within and beyond music. In addition, by exploring a concept across disciplines, we are able to use multiple modes of representations to illustrate a single concept. From “Music, Art and Legos,” students hear contrast, see contrast and construct contrast using lego blocks. In Caia Kent McCullar’s Integrated Curriculum: An Approach to Collegiate Preservice Teacher Training using the Fine Arts in the Elementary Classroom, she describes the need to provide lessons with multiple modes of representations. Lessons should provide visual, aural, tactile, and kinesthetic opportunities, so that students create their own patterns representing the basic concepts to be learned. Providing experiences in the various learning modalities when forming concepts, therefore, is not only sound educational theory, but also another form of pedagogical integration. In almost every learning situation, the senses interact and cooperate to provide the learner with a broader perspective about the concepts being formed. 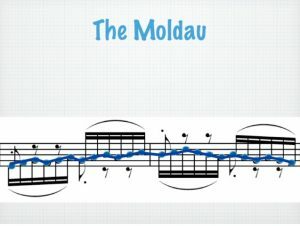 The Moldau Melody Contour: In this year’s NBSO Young People’s Concert entitled Mapping Melodies the children saw and heard how the concept of contour is demonstrated in music, line graphs and creative and fun imagery. Before the performance of Smetana’s Moldau, the children were shown the contour line of the opening melody using musical notation. In next year’s Young People’s Concerts and SchoolsMusic, “The Sights and Sounds of Symmetry,” we will focus on the concept of symmetry as it is demonstrated in music, geometry, art and nature. The program will explore symmetry and the ways in which a melody, a geometric shape, and an image can be transformed while still maintaining its shape. Students will see and hear three types of transformations including translation (slide in math terms, sequence in music), and vertical and horizontal reflection (flip in math terms, retrograde and inversion in music). Each transformation will be demonstrated using exciting and vivid examples in classical music, artwork by M.C. Escher and vibrant images from nature such as symmetries found in plant and animal life and the environment. The Moldau Line Graph: The children saw how the melody’s contour line could be represented using a line graph. In the Symmetry program, multiple representations are illustrated using various symbol systems from music notation, to mathematical graphs to images and artwork. All symbol systems come together to illustrate the same concept. The students will hear symmetry, see symmetry and search for symmetry in their surroundings. Furthermore, the use of multiple modes of representations has been shown to assist in students’ memory and recall. In Grant Wiggin’s Research on Transfer and some Practical Implications, he specifies that these varied conditions for learning produce multiple retrieval cues and therefore are more available in memory. The multiple representations both enhance and deepen the learning experience while also aiding in future recall (Wiggins, 2012). The Moldau Contour Student Artwork: Students attending the concert created drawings that matched the shape of the melodies to be performed by the orchestra. Here a student flipped the Moldau contour line to create the mouth of a horse. These pictures were shown on a large suspended screen as the orchestra performed each matching melody throughout the concert. In 2012, the NBSO’s educational programs focused on music and literacy. The shared fundamental concept was punctuation; more specifically, in children’s literature, the ways in which authors manipulate punctuation and sentence structure to convey the content or specific setting of the story. In music, students were presented with examples in classical music that demonstrated the very same literary effects through sound. In the SchoolsMusic program, “Musical Punctuation,” students were shown creative and expressive uses of punctuation in excerpts from popular children’s literature. The musicians then performed classical excerpts that demonstrated the same articulation and melodic structure as the accompanying text. Connections between sentence structure and melodic structure were explored throughout the program. For example, in an excerpt where an author used a series of short sentences, one right after another, to imitate the breathless pace of the foot-race taking place in the story, we performed a piece by Bach where the melodies were short and repeated, coming at the listener, one right after another, at a fast pace in order to create movement and excitement in the passage. Both the composer and author manipulated the same concept to create a similar effect through words and sounds. Following one such presentation, a teacher approached me to say that she admired how we had “unwrapped” classical music for her students by connecting it to real literature that the children loved. She said that we had in effect allowed them to hear what the structure of excerpts from James and the Giant Peach or The Twenty-one Balloons sounded like when represented through classical music. In the NBSO’s education programs, many connection opportunities arise to link classical music concepts to current aspects of children’s lives. Some of these have already been mentioned such as the use of a popular building toy in the “Music, Art and Legos” SchoolsMusic program or books that the children were reading in the “Musical Punctuation” SchoolsMusic and Young People’s Concert. In the “Sights and Sounds of Symmetry” program, the children will perform geometric and melodic transformations on a large magnetic white board that has been built to look like a giant Etch a Sketch. Since the program explores the tessellating artwork of M.C. Escher, we decided to call it an Escher Sketch. Not only does the Escher Sketch invite hands on, creative exploration of the concept of study, it also connects the musicians and the music to the children in a very playful, and age-appropriate way. The lesson itself is designed and presented in a way that connects to children where they live, learn and play. The NBSO’s use of concept-based integrated curriculum is based upon a fundamental belief that classical music can connect very deeply with a child’s personal experience. That connection can allow the child to develop a richer understanding and appreciation of classical music in a meaningful way. Classical music can also provide a powerful connection between various components of a child’s daily life. All that is needed are creative ways of presenting the inherent connections between these components for them to discover this on their own. Throughout these experiences, we see that the focus is not solely on classical music, but on the education of the child. The New Bedford Symphony Orchestra, as an arts organization becomes an integral part of the child’s education team, aligning with the schools to promote and model 21st century higher-order thinking skills. The objectives of the orchestra’s educational mission adopt a broader scope that aims to develop a child’s deep and flexible understanding of a concept that applies well beyond our concert hall. Indeed, it forms a two-way street, where the exploration of a concept in one domain is strengthened by the understanding and excitement of the same concept in another. In this manner, the whole is truly greater than the sum of its parts.